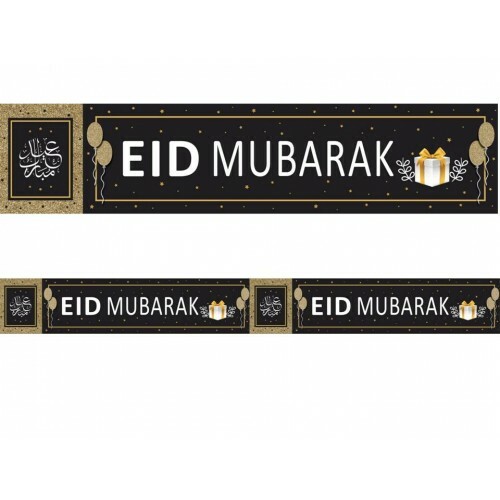 Elegant Black & Copper Eid Mubarak Double Banner. Matches perfectly with the Black & Copper Eid Mubarak set of 10 Flags and Gold or Black Eid Mubarak Balloons. 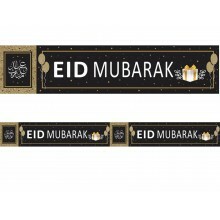 The perfect way to decorate your home, school, mosque or anywhere you want to celebrate Eid in a truly stunning way. Stretches over 2 metres in length (22 cm height). From the designer range by Eid Party Decor.